We know there is a crisis with student debt. College costs are through the roof, but attending college is seemingly essential to entry into the middle class. As a result, around 40 million Americans have over 1.2 trillion dollars in student debt collectively. Much of the increase in student debt is attributable to for-profit colleges, as students at for-profits have the highest student borrowing rates and represent the greatest share of the students who default on their loans. Until this summer when Corinthian Colleges announced it would close or sell its schools, Corinthian was one of the largest for-profit education companies in the United States. Here are a few reasons we’re glad to see them go. In order to qualify to receive federal loan dollars, the federal government requires for-profit colleges to receive at least 10% of its income from sources other than students’ federal loans and grants. To make sure it wasn’t receiving more that 90% of its revenue from student aid, Corinthian encouraged students, including single mothers and veterans, to sign up for high-cost private loans funded by Corinthian itself. These loans weren’t in the students’ best interest, but they did classify as “private,” helping Corinthian stay within the federal requirement. The Consumer Financial Protection Bureau (CFPB) filed a law suit alleging that “Corinthian lured tens of thousands of students to take out private loans to cover expensive tuition costs by advertising bogus job prospects and career services. Corinthian then used illegal debt collection tactics to strong-arm students into paying back those loans while still in school.” In fact, Corinthian knew that most students could not pay back the loans, telling its investors that it expected 50% of students to default. And the consequences of default are serious. Students can face harsh financial penalties, soaring interest rates, negative entries on their credit reports, and some Corinthian schools even withheld diplomas from students who had not fully paid back the loans. The CFPB is going to federal court to demand Corinthian provide relief for students who took out these loans after July 2011. The case will take many months to resolve, but you can stay up to date by signing up to receive updates from the CFPB by emailing: students@cfpb.gov. The Department of Education requires colleges to report job placement numbers to the federal government. If too many graduates don’t have jobs, the college risks its eligibility to receive federal loans. For Corinthian, which received 1.4 billion dollars from federal loans in 2010, maintaining its eligibility was essential to business. So when it looked like some of Corinthian Colleges had really, really bad job placement numbers, the company decided to pay employers $2,000 for each graduate they temporarily put to work for 30 days. Corinthian then counted these graduates as fully employed. The Department of Education called Corinthian’s report a “substantial misrepresentation,” strong words for a federal agency. And these manipulated statistics were also likely used to recruit students to enroll at Corinthian Colleges, meaning Corinthian lured students into enrolling with false information about their job prospects after graduation. Corinthian maintains that any issues with job placement reporting were isolated and have been remedied internally. Central to Corinthian’s business model was enrolling new students. That’s because each year over half of its students dropped-out. As a result, Corinthian typically spent nearly 25% of its revenue on recruitment efforts and used manipulative, relentless, and predatory methods to enroll new students. The Attorneys General of California and Massachusetts say that Corinthian’s tactics were illegal and have filed lawsuits to make Corinthian account for its actions. As the complaint in Massachusetts describes, “for-profits colleges train and encourage recruiters to emotionally exploit prospective students who may already be in dire straits by identifying their pain and vulnerability, and then exploiting those weaknesses to pressure the individual to enroll.” California’s complaint described Corinthian’s efforts to sell its expensive programs to those “whom head single parent families and have annual incomes that are near the federal poverty line.” It further presents evidence that Corinthian claimed that one of its programs placed graduates into fulltime jobs 100% of the time, when in fact there is no evidence that a single student from the program obtained a job during the specified time frame. To find about more about the lawsuits in California and Massachusetts, check out the press releases from California and Massachusetts. A post-secondary education is supposed to be the means to a more stable, higher paying job. Corinthian promised its recruits just that. But a recent study questions the actual value of a degree from a for-profit college. Researchers sent out fake resumes with essentially identical qualifications, except some included a for-profit college degree and some did not. The study measured how often each resume receive a response from employers. They found that individuals with a degree from a for-profit college received the same contact rate as those resumes that only listed a high school diploma. In fact, while Corinthian recorded $1.9 billion dollars in profit in 2011, their graduates were in low paying jobs that typically didn’t provide enough income to repay their loans. The average recent Corinthian grad makes around $21,000 annually. However, the cost of a Corinthian College program is so high that graduates have to spend around 35% of their discretionary income to loan payments. Given their job prospects after graduation, it is not surprising that a United States Senate investigation of Corinthian Colleges found that 36% of graduates defaulted on their loans within the first three years after graduation, which compared to the 9% default rate at public and non-profit schools. 5) Some Corinthian students will be able to get a refund! The most important reason we are glad to see Corinthian go is that some students may be entitled to a refund. Students enrolled at Corinthian College that closes without a “teach-out” option or without being sold to another company, can apply to have their federal loan debt discharged completely. 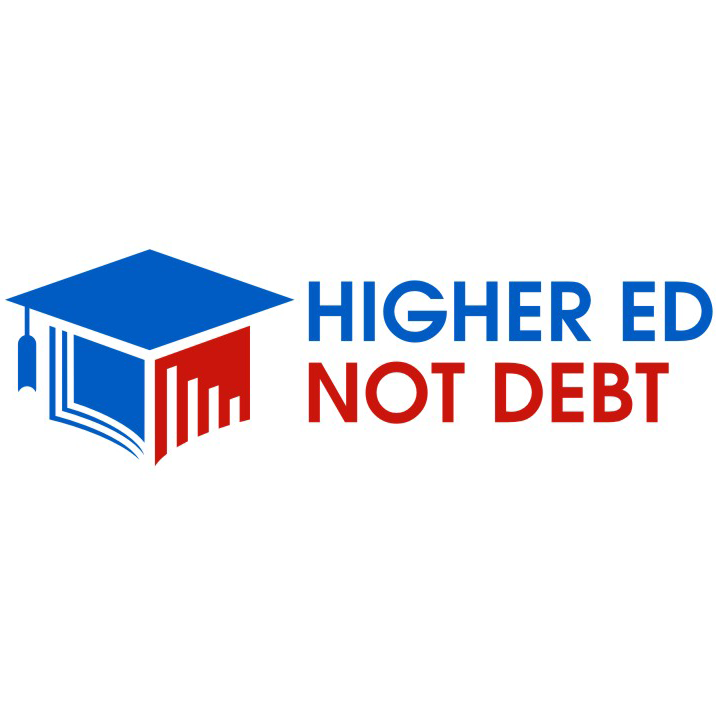 For more information about federal student loan discharge and Corinthian’s shutdown, read the CFPB’s “Special notice for Corinthian Students” and sign up to get updates and tell your student debt story at the Higher Ed, Not Debt campaign website.